Many people agree that the year 2016 was a crummy year. We lost beloved celebrities (Prince, Bowie, Gwen Ifill, Leonard Cohen, John Glenn…), Brexit happened, and Donald Trump was elected president. For me personally it was a crappy year, too, as we lost both our beloved dog Ty and my partner's father. But I have to admit, the election of Trump hit me hard and for several months I couldn't make any art. 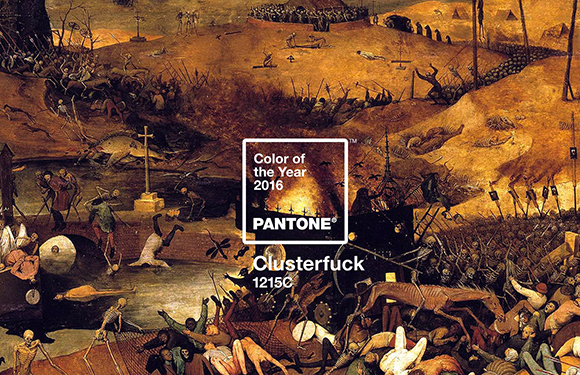 Pantone, the makers of a color matching system used worldwide in design, announces a "color of the year" every winter, and the joke meme above enjoyed a brief but viral appearance on social media at the end of crappy year 2016. 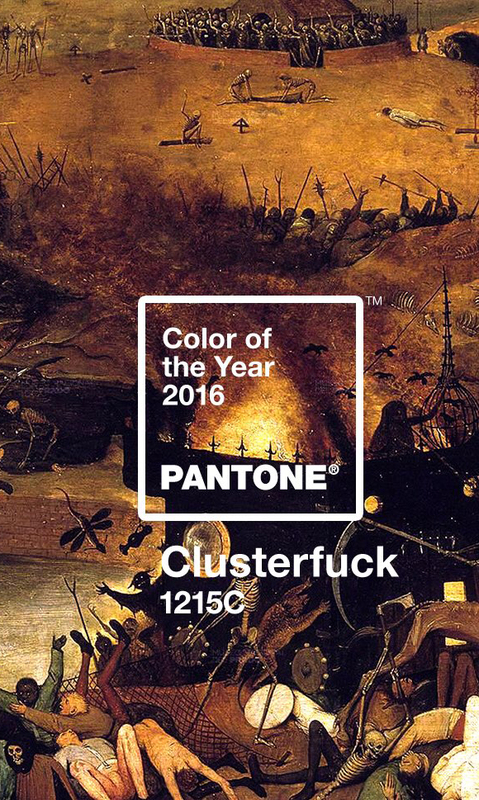 (The artwork is a 1562 painting called The Triumph of Death by Pieter Bruegel the Elder.) As it turns out, this feeling of burning seems to be following us into 2017, and in that spirit I've decided to do some woodblock prints exploring the element of fire.